Japan, the only country to have experienced not one but two atomic weapon blasts which devastated two major cities, has now suffered what is probably going to become the third worst civil nuclear disaster in the world. Many voices are lining up to say that this is the nail in the coffin for nuclear power. There have been anti-nuclear demonstrations in Germany and Greenpeace is calling for the phasing out of all existing power stations. They say nuclear power is simply too dangerous. Those on the pro-nuclear side have in the last few days been consistently underestimating the way that events have actually unfolded. My inbox has been filled with nuclear pundits offering their prognoses which have been proved invariably wrong. Nevertheless even some environmentalists such as Mark Lynas are arguing that we still need nuclear power and that it's worth the risk because the alternative - runaway climate change - is unavoidable without it. Japan imports 90% of its oil and has used nuclear power to help fuel its economic success with a measure of energy independence. Up to now, the Japanese public have largely trusted the authorities. The terrible consequences of the tsunami, the attendant economic collapse, the lack of services, electricity and food, and the terrifying prospect of an invisible enemy in the air or in the food around them has shattered this trust. Hideki Ban, a Japanese antinuclear movement activist and leader of the Citizen's Nuclear Information Center (CNIC), commenting on the disaster, said at the weekend in an interview with an Italian newspaper "By an accident of this magnitude it is very likely (and is also our hope) that the close dependence of Japan on atomic energy will come to an end." Yet would Japan be able to power all of its needs with renewable energy? And if it can, how long will it take to build the generation capacity? It would not do so with solar photovoltaic and wind power alone. However, it is an island and there is no shortage of marine energy or geothermal energy, whose effect could be magnified by the use of combined heat and power and heat pumps, or of food and crop waste for anaerobic digestion. 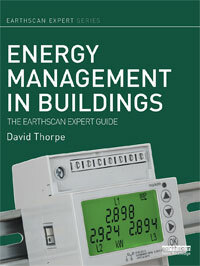 All new buildings to replace those lost could be constructed to become zero energy using the Passivhaus standard. If Japan can achieve energy security using renewables, then certainly so can the rest of the world. And if it can't, then presumably the rest of the world cannot successfully tackle climate change either. Mark Lynas argues that if we abandon nuclear power then in the immediate term coal will take up the slack. Without any proven (at scale) carbon capture and storage, this could well accelerate global warming. But it doesn't have to be like this. Large-scale deployment of anaerobic digestion, solar thermal power plants, marine energy and wind power linked by high-voltage supergrids can power economic revival. The map right shows where it has been calculated that six large solar thermal plants situated in the hottest spots on the planet could power the whole world with such supergrids. The European Desertec project is one such example of a project that could revolutionise North Africa and Europe and the Middle East. The far east could have just such a super grid. Is it feasible? Is it affordable? What really brought nuclear power to a halt after the Three Mile Island disaster in America was the refusal of insurance companies to foot the bill for new construction given the potential damage to them were there to be another accident. The same reaction is extremely likely again, in many countries of the world. 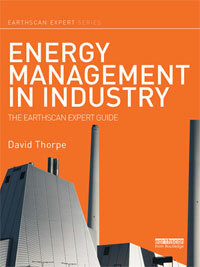 All renewable energy technologies carry far less inherent risk but more up front costs. If they are more expensive in capital terms, they are less expensive in terms of their running costs, security requirements and insurance requirements. What the fulfillment of this dream requires is the political will and about the same amount of capital as it will take to build nuclear power stations and maintain their security and insure them against disaster in the future. Nuclear power is inherently dangerous. The whole supply chain including mining in countries like Niger promotes environmental desolation and conflict. Mark Lynas argues that there have only been 50 deaths as a result of the Chernobyl disaster and this is an acceptable price. But that is not the whole picture. There has been a great increase in thyroid cancers as a result of the ingestion of caesium-137, which can remain in the environment and food chain for 30 years. Several of my friends around where I live have for many years received visitors from the Chernobyl area - children badly affected by radiation with terrible deformities. They come for holidays. It is awful to see them. According to the World Health Organisation, an expert group from the US National Academy of Sciences has concluded that "there may be up to 4,000 additional cancer deaths among the three highest exposed groups over their lifetime". These groups contain 630,000 people. Those who argue that all of this is an acceptable price to pay to tackle climate change have not seen the suffering themselves close to hand. If it was happening to them or their family, friends and neighbours they would not be so gung ho about it. It's time to say no to the nuclear lobby. We don't trust you any more. Thanks David. Just to clarify, I would in no way argue that Chernobyl was somehow an 'acceptable' price to pay for nuclear power - merely that the impact of that disaster should be seen in proportion with others. Many more people are killed and injured in collapsing coal mines (not to mention the pollution), burning oil rigs, exploding gas terminals etc than have been killed by nuclear power. Unless something goes even more horribly wrong in Japan, the mortality rate from radiation released at Fukushima should still be zero, scary though it is. No-one died at Three Mile Island. I don't say this to be complacent, but to argue that perspective is needed. You say that we can do it all with renewables. I wholeheartedly support major scale-up of wind, solar, geothermal etc, but for Japan (and China) without nuclear I really don't think emissions can be substantially cut. It won't happen. That for me is an even bigger risk - that in avoiding nuclear we end up with even more fossil fuels, and the massive climate catastrophe I wrote about in my book Six Degrees. Do you think this is a risk worth taking? Thanks Mark. 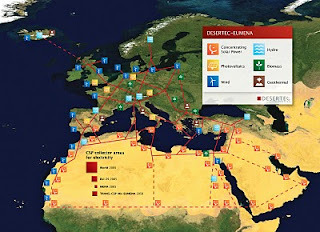 I'd like to know your opinion about the prospects for Desertec, and similar initiatives - the kind of alternatives I hint at, and the way to fund them, instead of capitulating to the nuclear or fossil fuel lobbies. 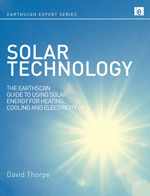 I've just written a book on solar power, out in two months. From where I sit, having done the research, solar thermal, solar cooling, and a whole combination of locally appropriate existing and emerging technologies coupled with Passivhaus refurbishment and newbuild and anaerobic digestion of organic wastes can do the trick within forty years. David, can you clarify where you are getting your information? I see no credible sources and the majority of information seems speculative at best. Reactors do NOT use 25 tons of fuel in the core. A couple hundred pounds is the average range. Also, until we find a way to effectively utilize thermal/wind energy on a larger scale, we NEED nuclear power. We do not have the technology to produce enough electricity for the planet on solar and wind energy alone, at least not cost effectively. Fun fact, it would require a 3 square mile radius of solar panels and batteries to account for the energy created by 1 reactor plant. Do the math there. What about countries like japan and england where space is a commodity? How would they operate without nuclear power or coal? I agree entirely with scaling up the various renewable energy sources but it will take a long long time to build up enough renewable energy sources to replace both fossil fuels and nuclear (forty years is too long). I therefore think we do need at least one more generation of nuclear power to fill the time gap until they are fully developed rather than having to resort to far more damaging fossil fuels. In addition to Marks comments about putting the dangers of nuclear into perspective, a hydroelectric dam disaster in Banqiao China in 1975 killed about 160000 people and 75 workers were killed only last year in Siberia (which also threatened to destroy a whole city). 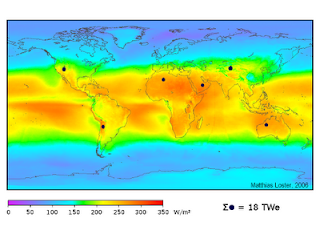 In any event, we all face a far far far greater threat from global warming than nuclear power. Seriously, with countries like China saying they are going to halt new nuclear power stations we are going to just see a massive increase in fossil fuels again - almost certainly coal in the case of china. 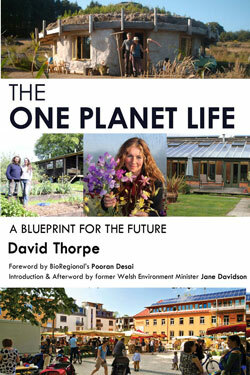 You really need to ask yourself if that is a good outcome for someone trying to promote a low carbon world. Regarding your super grid, there was a good article in New Scientist a couple of years ago (somewhere between the end of 2008 to mid 2009) which proposed a super grid for Europe consisting of the solar plant in North Arica, wind turbines in the north sea, geothermal from iceland and I cant remember what else (possibly tidal and Nuclear - no joke), all linked by high voltage DC. Supergrids like that will require all the countries in the world to work in a much more harmonious way however. I really hope one day we can achieve such energy production (without the nuclear) but I just think we are not quite there yet. By the way, in the UK at least, wave power and tidal barages should definately be utilised as we have such large tides and ideal estuaries for building them. Sustainable Energy - Without The Hot Air, where he tots up how much energy we consume in all different aspects of our existence and what sustainable alternatives we could have to fossil fuels, but as I recall it was damn' near impossible to balance the books without any nuclear, and even with existing fission technology it was still hard to see how we could do so. Harvesting power from the deserts did look promising in terms of the amounts of power available (as well as more conventional renewables - solar, wind, wave etc - and energy-reduction technologies). If we do have to use nuclear (and in the absence of the always-round-the-corner miracle technology of fusion) then Thorium reactors look interesting. They seem to avoid some of the problems of current technology as I understand they are more fuel-efficient and the fuel is unsuitable for weapons, thus avoiding the proliferation issue. It seems there's some serious interest in China which could result in the technology becoming mature and available, and in China being better able to cut its fossil-fule usage and COs emissions.